A few weeks ago I shared some fun, free, printable Unicorn stickers. I have been on a Unicorn kick lately, and I just do not know why. There is just something about Unicorns that make me happy. And what is better than eating a fun, colorful treat? 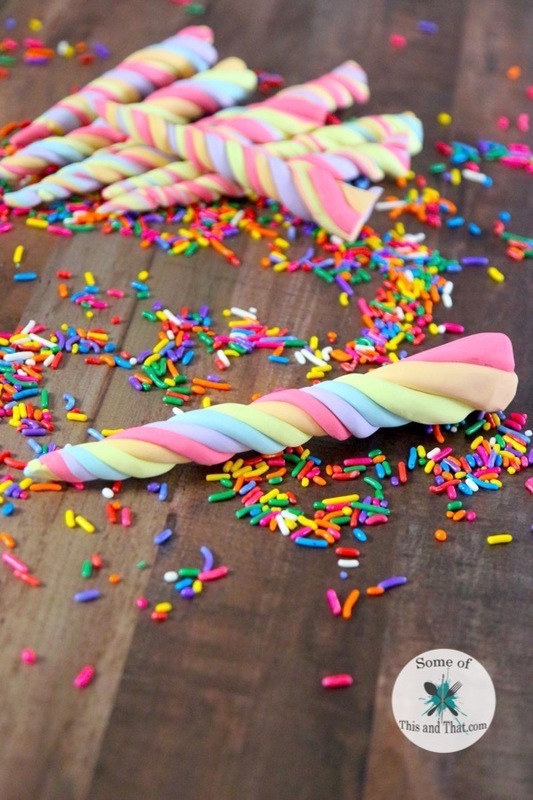 These DIY Edible Unicorn Horns are not only super fun to make, they taste pretty awesome too! I opted to use a rainbow of colors for my Edible Unicorn Horns. But you can do as many, or as few, as you would like. The combination of fun colors and the sweetness make these the perfect treat for any Unicorn, or Rainbow themed party! With The Girls 14th Birthday right around the corner, I plan on making these fun Edible Unicorns in a mini version to top her cupcakes with. They do take at least a day to dry, so they are a project you will want to do in advance. But, once they are done, they will last in an air tight container for up to a week. 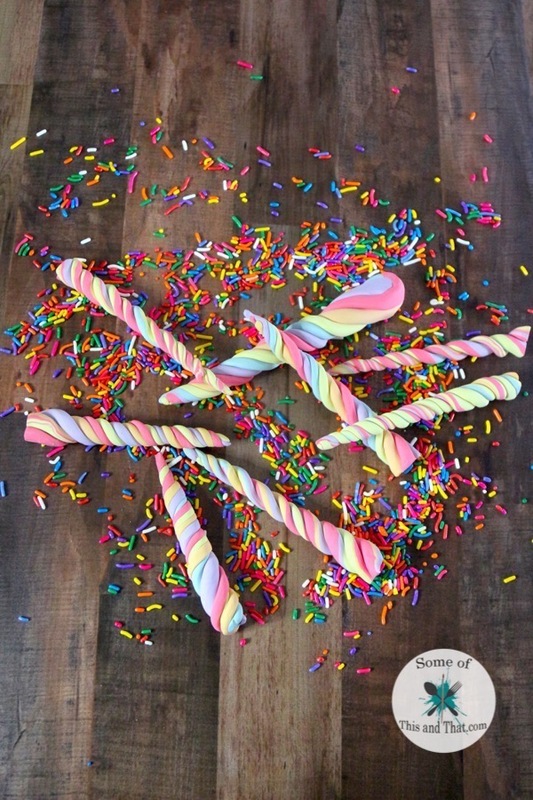 To see how I made these yummy Edible Unicorn Horns, check out the video below! I also share some tips and tricks to get the perfect dough consistency! In a microwave safe bowl, combine Jell-o and soda. Microwave for 30-40 seconds until completely dissolved. Combine 2 cups of sugar with the Soda in a large mixing bowl and mix on low until completely combined. Continue adding in sugar until a soft dough like consistency forms. Turn dough out onto a surface coated in powdered sugar and kneed until dough is no longer sticky. Wrap in plastic wrap until ready to form. * Amounts of sugar may vary depending on the humidity in your area. * If dough becomes too dry, add a 1/2 tsp of soda to mix and mix well. 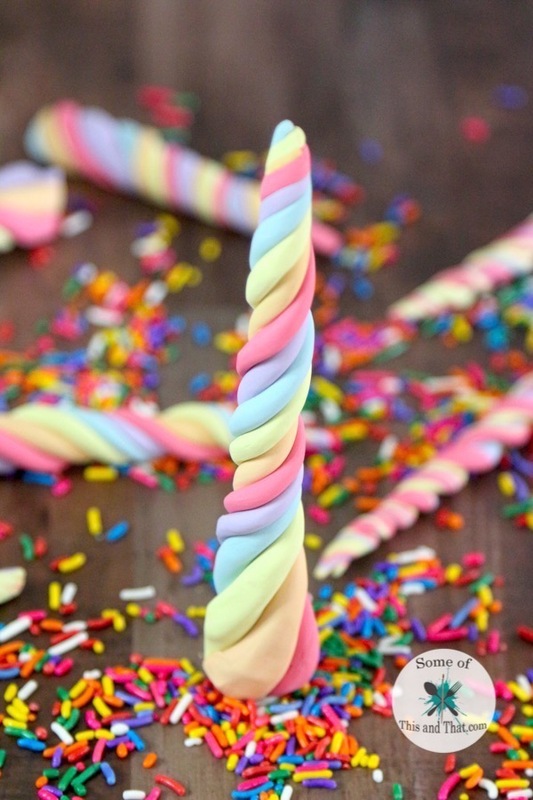 I love how these Edible Unicorn Horns turned out, you could also swirl them and make some fun Unicorn Poop too! If you love Unicorns, be sure to check out how I made a super cute Galaxy Unicorn Shirt! Excited to make these. Thank you so much!